Mr. K wrote: Great that you're getting into the Spoonful. I'd forgotten just how many great songs they did. I've been talking to Mark Mckenzie about them recently, as after all he saw them many a time back in the '60 in clubs, and his insights are brilliant. How I never crossed paths with their music before is a mystery! Even in my heyday of discovering all these '60s bands! John Sebastian is a brilliant songwriter. However, in my opinion I think Zal Yanvosky made the Spoonful as much as John did of course---I also think he was underrated. He was a brilliant guitar player and his funny, zany stage presence at the front made them who they were. I heard this on the radio the other day and remembered it's not long till I see them live again..... That will be in June at the London Stadium, Queen Elizabeth, Olympic Park. Cool Cool Water wrote: I heard this on the radio the other day and remembered it's not long till I see them live again..... That will be in June at the London Stadium, Queen Elizabeth, Olympic Park. Enjoy, when the time comes. Mr. K wrote: Enjoy, when the time comes. It's going to be superb for sure, John! My brother just showed me this. The new Alice in Chains song, sounds good! 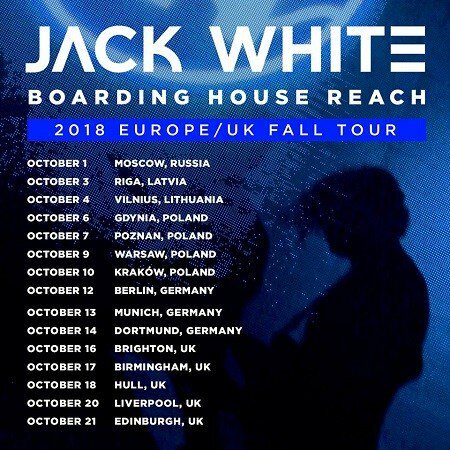 I am currently listening to the new Jack White album, "Boarding House Reach". Not really a fan of AM, but their new album, just released, has been getting a lot of bad criticism over the fact the songs are not guitar driven but more piano driven. My brother purchased the new album for his missus and said it's good. I agree, and from what I've heard that is, it's not too bad. Here's the new video to one of their new songs taken from that album. Should be seeing these in October for the 4th time! Cool Cool Water wrote: Not really a fan of AM, but their new album, just released, has been getting a lot of bad criticism over the fact the songs are not guitar driven but more piano driven. A live performance. Thoughts, JK? My cousin got me a ticket to see Jack White in Birmingham in October this morning on general sale......... Looking forward! His new song below rocks! Also, Dave Kirkpatrick commented on my "attending JW concert FB post" saying he likes his style of guitar playing and music as well! I heard this song on the radio coming back from work Tuesday afternoon. I've never heard it before, however, I have heard The Verve throughout the years. My Dad and his friend are really into this song at the moment and the band. My Dad's mate has the album on vinyl and said it's brilliant. It's okay and I see the good talent---plus I've heard the singers other projects throughout the years. But I just can't bounce off the roof about it, lol, like them! Just been recommended this. Never heard of them before, however, they sound very Beatles/Kinks. 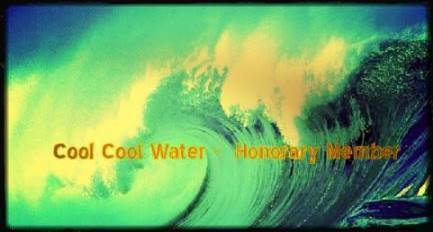 Cool Cool Water wrote: Just been recommended this. Never heard of them before, however, they sound very Beatles/Kinks.